SIRIUS 3RV motor protection circuit breaker SIRIUS 3RV motor protection circuit breaker (MPCB) are compact, current-limiting circuit breakers. They guarantee safe reliable shutdown when short circuits occur and protect loads and plants against overload. Furthermore, they are suitable for operationally switching load feeders and safely disconnecting the plant or system from the line supply when service is been carried out or changes are being made. 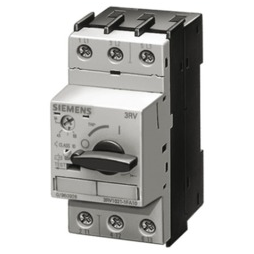 SENTRON 3VL circuit breakers are suitable for applications above 100 A. As infeed and load feeder breaker, they protect plants and motors against short circuit and overload.